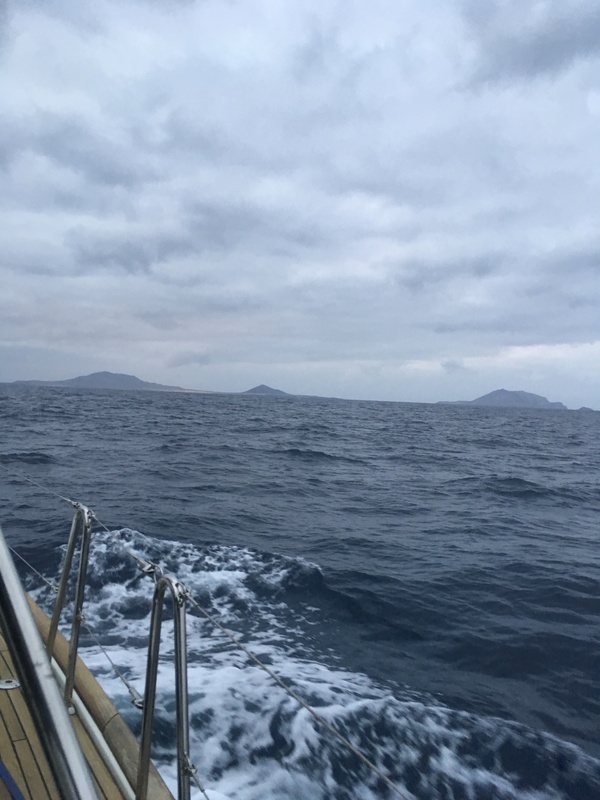 We left Lagos bound for Graciosa, a small island just to the north of Lanzarote, a distance of around 540 miles in company with Allegrini & eMotion. The forecast was for northerly winds between 12-18 knots which was pretty much what we got….. eventually. The day started off with winds from the west which gave us a very quick start with only a couple of metres of swell. The first night we were treated to clear skies and so many stars we didn’t know where to look first! Settling into watch pattern was 3 on 3 off which we did crossing Biscay and worked well. 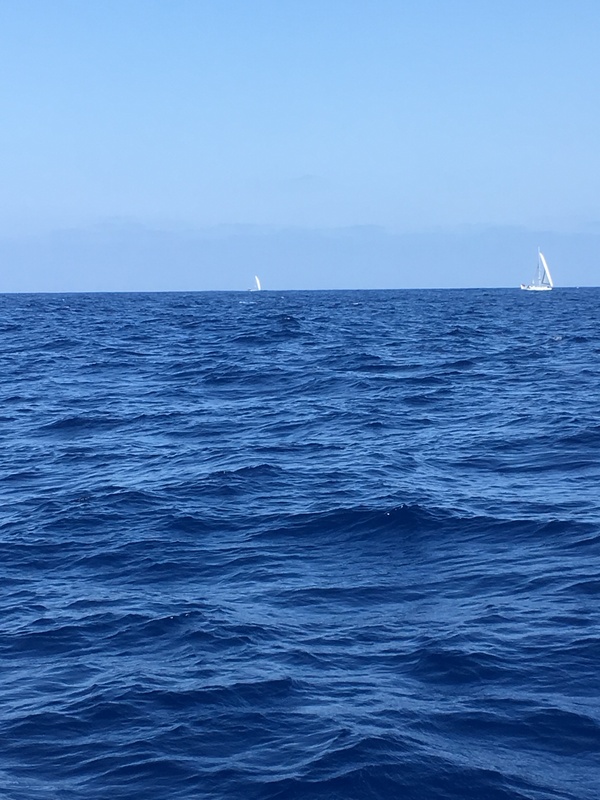 Day watches were fairly relaxed with quizzes between the 3 yachts passing time and discussing the highly charged topic of our power generating abilities through wind and solar…… (this topic will get a VERY in depth entry shortly). The children on eMotion asked us to guess their parents age….. don’t think Sven was too impressed when Allegrini said he was 75 !!! eMotion downloaded a weather (grib) file through their sat phone on day 1, Allegrini via SSB on day 2 and we did via SSB on day 3. Interestingly after Allegrini’s download they lost their AIS which is a transmit/receive piece of equipment detailing vessels in the area. We lost our receiving ability when we downloaded on day 3 which was very odd. eMotion lost their ability to charge their batteries with their engine alternator relying on their solar panels, meaning they switched most electrical items off at night. We all stayed within sight of each other though which was reassuring. 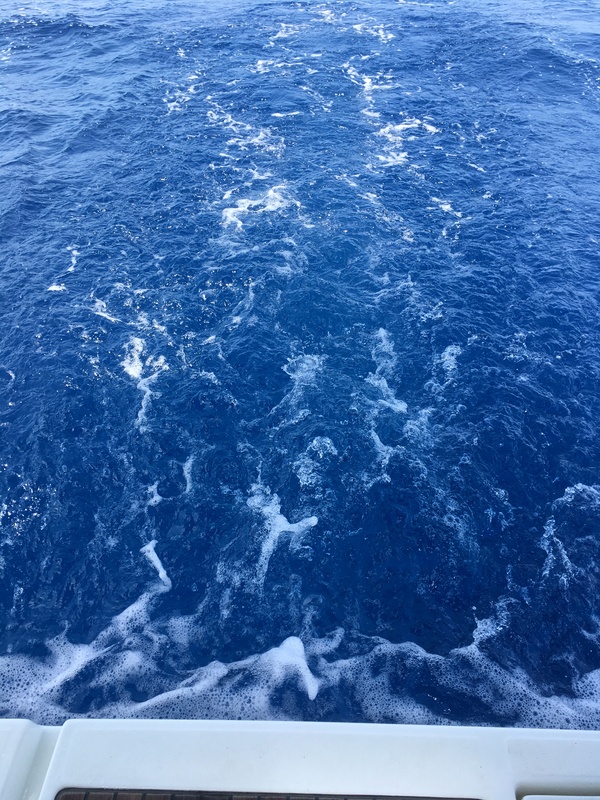 Our 4th night left us with about 100 miles to go and shipping started to appear with one very large one crossing our bows 0.3 miles in front…. I can assure you in the open seas pitch black, it looked “really close” !!! As dawn broke we were treated to the sight of Isla de Alegranza the first volcanic island of the canaries. For some it was “just” 540 miles, for us it was really quite something & a huge milestone. An hour later we were anchored in a bay on the south side of Graciosa in the clearest water we’d ever seen. In fact when we first saw the seabed we thought we were about to hit bottom only to realise we were still in 10 metres. After a celebratory full english breakfast onboard Allegrini, I decided to dive under the boat in the clear water and found our maxprop anode literally hanging off. We carry spares but were lucky not to lose it and the bolts which we don’t have spares for…. note to self ! The next day after a good rest we sailed down the west coast of Lanzarote and are now in the stunning marina at Rubicon to make some minor repairs and improvements. 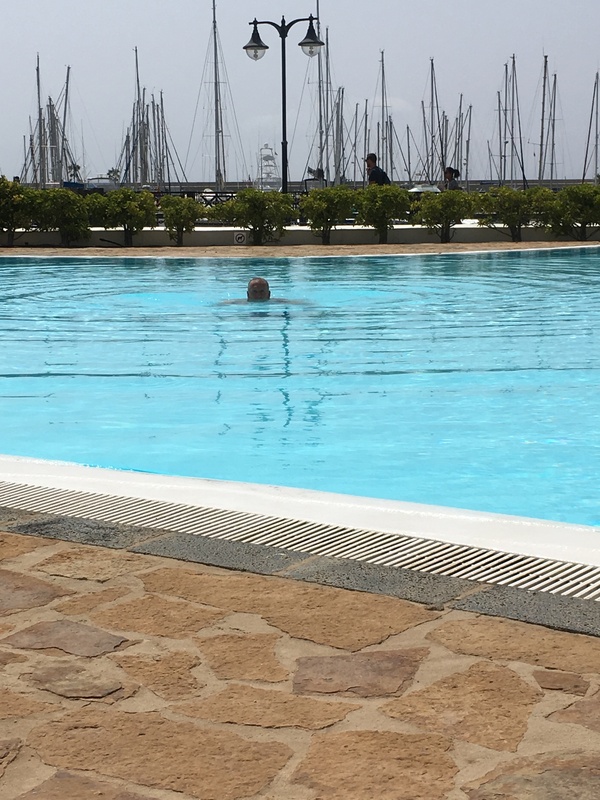 There are worse places to stay as the marina has a swimming pool too! Don’t understand everything but your adventure continues to be exciting !!!! Only disappointment is that we couldn’t meet around Gibraltar and spend some time with you. Thanks Guerric, we hope so too!